BELIZE CITY, Mon. Oct. 19, 2015–During heavy torrential rains, at about 10:00 Saturday night, a one-flat lumber house located on Jasmine Street, which is the residence of the Gentle family, collapsed. At the time when the house fell, a member of the family, Earl Gentle, Jr., 9 years old, was sitting under it. He miraculously escaped unhurt. He was rescued from under the collapsed house by eight men who pulled away plywood; a section of the floor was then opened and the boy was rescued through a narrow opening from under the house. Gentle was taken to the Karl Heusner Memorial Hospital, where he was examined by a doctor, who found nothing wrong with him. His family is grateful to God that he is alive and well. 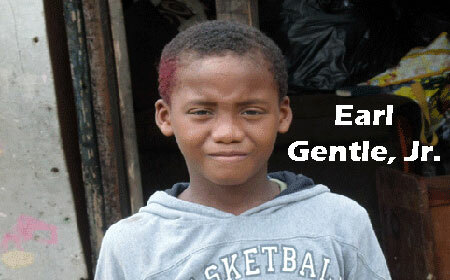 Gentle’s grandmother told Amandala that it is a miracle. “It is a miracle he is alive,” she said. Earl Gentle, Sr., told Amandala that he dreamed on Friday night that the house was going to crash. On Saturday morning, he said, he had the feeling that something was going to happen and began to get concerned. He considered setting up extra support for the house, but the weather was terrible and nothing could have been done. That night, the house crashed. Yesterday morning, the family was told by a politician that NEMO would assist them with needed items, and that a house would be rebuilt for the family. Cordel Hyde, the PUP Lake I area rep, also spoke with the family and assured them that they would be taken care of, and the house replaced. The family is still traumatized, but is recovering.